A new crime novel set in Bergamo has just been published on Amazon Kindle. 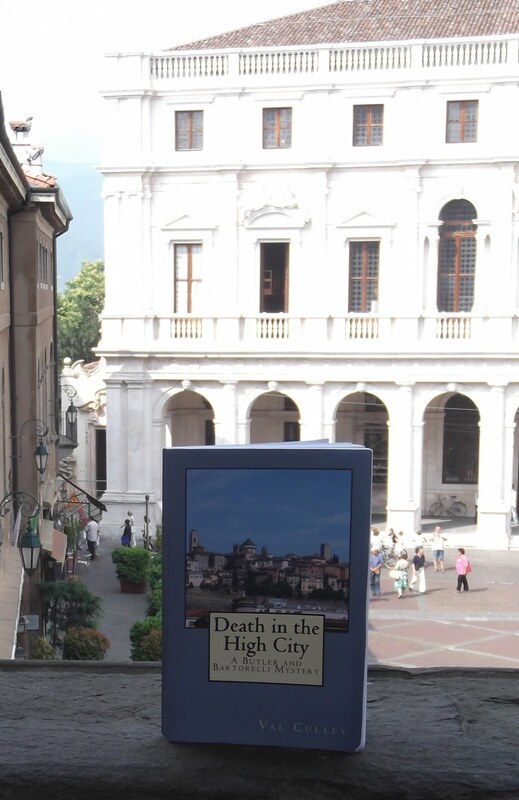 Believed to be the first British crime novel to put the spotlight on Bergamo, Death in the High City centres on the investigation into the death of an English woman who was writing a biography of the composer Gaetano Donizetti. The dead woman had been living in an apartment in Bergamo ’s Città Alta and much of the action takes place within the walls of the high city. The local police do not believe there is enough evidence to open a murder inquiry so Kate Butler, who is the victim’s cousin, arrives on the scene to try to get some answers about her cousin’s death. Kate visits many of the places in Bergamo with Donizetti connections and her enquiries even take her out to Lago d’Iseo. But after her own life is threatened and there has been another death in the Città Alta, her lover, Steve Bartorelli, joins her to help her unravel the mystery and trap the killer. The reader is able to go along for the ride and enjoy Bergamo’s wonderful architecture and scenery while savouring the many descriptions in the novel of local food and wine. Death in the High City by Val Culley, published in May, 2014, is now available on Amazon.